Sebring, FL – TECNAM and Universal Helicopters (UHI) today announced an aircraft purchase agreement for a fleet of 10 initial aircraft for two fixed-wing flight training locations. The purchase consists of four (4) P2008 LSA, four (4) P2010 standard category 4 place, and two (2) P2006T twins. UHI has distinguished itself over the past decade as one of the largest FAA Part 141 Training Companies in the world, operating up to 58 helicopters for flight training and has its sights set on the Fixed-Wing training market. “As we watched the shortage of fixed wing pilots increase and the hiring requirements change, I felt compelled to assist the fixed wing industry as we have done for decades withregards to the helicopter industry” stated Dr. Gordon A Jiroux, hc. Universal’s renewed push into fixed wing aircraft demanded a modern, cost-effective fleet for all training levels. Universal Fixed Wing (UFW) will be utilizing the high wing P2008 LSA for initial through IFR introduction training utilizing the Garmin G3X two screen system with Garmin autopilot and Garmin GTN 650. Students will then move to the FAA standard Category P2010 4 place single with G1000Nxi and GFC700 for completion of IFR, Commercial and CFI Certificates. Finally, students will fly the P2006T light twin with Garmin G1000Nxi to complete their Multi-Commercial and Multi-Instructor certificates. “The Tecnam line of aircraft that we chose as our primary training aircraft, offered the perfect progression of high wing Ab-initio trainers (P2008 & P2010), culminating with their light Multi-Engine P2006 model” stated Dr. Jiroux. Dr. Jiroux also stated, “Having the desire to bring the same level of Quality and Safety to the fixed-wing community that our helicopter students and training partners have enjoyed, we knew from our experience with the Robinson Helicopter Company, that having 3 different model aircraft from the same manufacturer was a priority. We know from our extensive helicopters training experience, that the uniformity and consistency that will exist by operating one brand of state-of-the-art airplanes that Tecnam offers, will help us deliver quality training with that extra element of safety we are always looking for”. 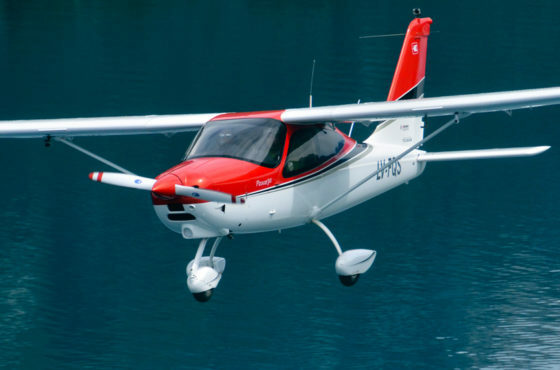 “Tecnam aircraft being selected by UHI as their next generation training fleet is a high honor, especially when considering Universal’s operational experience in the flight training industry. 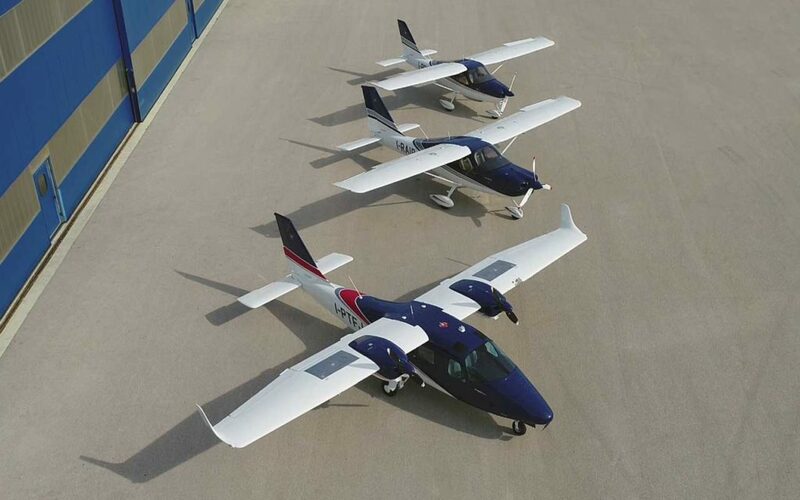 The Tecnam fleet solution offers easy transition to more complexity while leveraging an LSA, a Rotax powered twin and US based AOG support to keep the acquisition and operational costs down. This will allow UFW to continue to provide a safe and cost attainable pathway for students,” said Shannon Yeager, Director for Tecnam in North America. “I found Tecnam to be extremely accommodating through the negotiation process with a sincere desire to help our business grow“. said Dr. Jiroux. “We are delighted at UHI’s choice for their fixed wing fleet. Our expanded commitment and direct factory involvement to the US market is showing the results we hoped for. 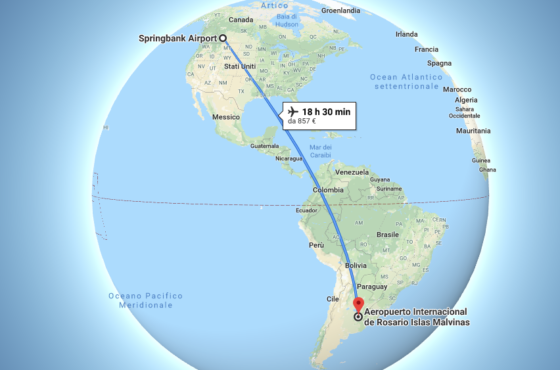 We care a lot for our North American customers and training organizations, we are proud to be a partner on their path to success. 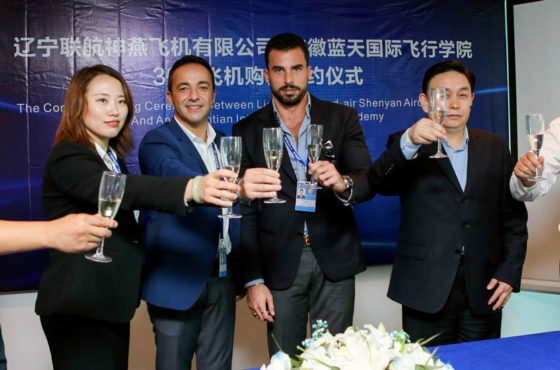 With the widest line of aircraft in our portfolio, post-sales support and services, Tecnam is not only providing aircraft but a solid Fleet Solution.” said Paolo Pascale, President of Tecnam US and CEO of Tecnam Italy. UNIVERSAL FLIGHT CONCEPTS (“UFC”) was established by Dr. Gordon A. Jiroux, an aviation training professional since 1982, and now is part of a group of flight training companies including Universal Helicopters (UHI), Universal Fixed-Wing (UFW), Night Flight Concepts (NFC), all independently operating under the banner of Universal Flight Concepts starting in 2019. There are presently 6 locations, with a 7th location set to open August 1, 2019. Over the past few years, UHI has conducted over 100,000 total flight hours, to include over 32,800 flight hours in 2015 and nearly 34,000 flight hours in 2016. UHI is clearly recognized as a leader in aviation safety as a result of the company leadership, standardized training methodologies, and their organizational safety culture.